How can we prevent whales and dolphins from being caught and killed in fishing gear? The people who earn a living from fishing (whether using nets, lines or ropes) do not want to catch whales and dolphins, yet fishing gear is accidentally killing hundreds of thousands every year. These accidental captures are referred to as "bycatch". Why is fishing gear a danger to whales and dolphins? Over decades of fishing, humans have developed sophisticated ways of catching huge amounts of seafood for markets around the world. Many types of gear are “fixed” or remain in the water to fish and be retrieved at a later time. Fixed fishing gear includes gillnets, trap- pot fisheries, and even aquaculture. The habitats of whales and dolphins and commercially valuable fish often overlap leaving whales and dolphins preoccupied by feeding, socializing or even resting at risk of blundering into the gear and becoming entangled. Is this the biggest threat whales and dolphins face? When a whale or dolphin swims into a net, rope or fishing line, they can quickly become entangled. Like humans, they breathe air, if they can’t surface quickly enough, they suffocate. Whales who encounter gear often panic and roll into the gear, further exacerbating the entanglement. For a whale who can break free of anchored gear, they typically carry pieces of the entangling gear wrapped around their heads, flippers, bodies and tails; swimming for months or years with the gear wrapped around their bodies. The added drag of the gear causes the whale to use more energy which reduces the likelihood of a female being able to successfully calve, which is referred to as the "sublethal" impact of bycatch. Entangling gear can make it more difficult for whales to feed, and sometimes the gear cuts into their flesh and bones, leaving the whale to die from resulting infections or starvation. Entanglements not only impact the individual involved but have significant impacts on fishers and population level impacts on whales and dolphins. From reducing a female’s ability to calve to removing significant members of a population’s society, entanglements impact the culture and survival of whale societies. Fishers suffer from lost gear to losing fishing grounds when areas are closed because of high rates of bycatch. WDC is working to ensure that both fishers and whales can safely share the ocean on which we all depend. 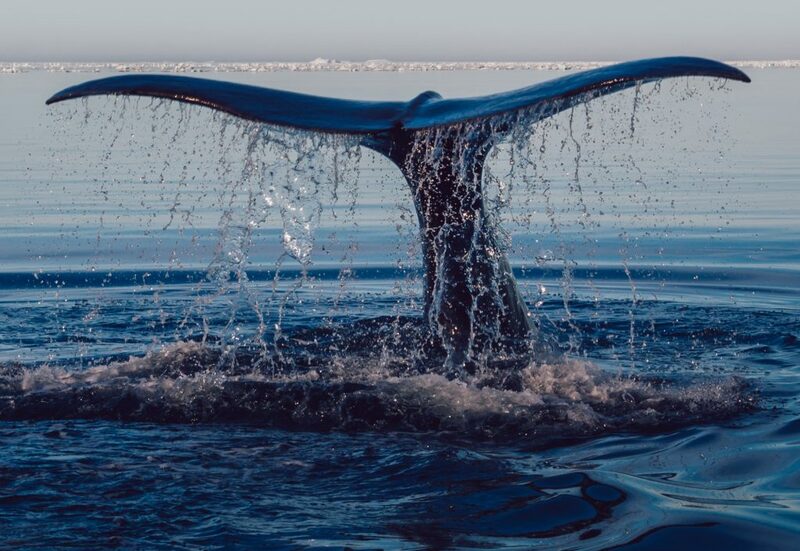 Support WDC – As a federally appointed member of the Atlantic Large Whale and Harbor Porpoise Take Reduction Teams, WDC works with federal and state agencies, fishers, scientists, and NGOs to reduce bycatch. Know your fish – You can make choices that are safer for whales and dolphins. If you eat tuna, pole and line caught tuna is a better choice. Looking for lobster? Choose lobster caught in Massachusetts where regulatroy measures and seasonal fishing closures protect endangered North Atlantic right whales. Save species from extinction – help us to save species being driven to extinction by current fishing practices: the North Atlantic right whale, Hector’s dolphin, and Māui dolphin are among those at most immediate risk. Accidental death in fishing gear are not the only threat to these species, but tackling this threat will help give them a fighting chance of survival. Reducing the risk of large whale entanglements in traps along the ocean floor– as a member of the federally appointed Atlantic Large Whale Take Reduction Team, WDC worked to develop a sinking ground line rule for most trap pot fisheries along the US East coast, reducing the risk of entanglement. Reducing the risk of whale entanglements in the US - WDC’s helped to reduce the number of vertical (buoy) lines along the east coast, reducing the risk of entanglement to large whales. Reducing deaths of harbour porpoise in the US - as a member of the Harbour Porpoise Take Reduction Team, WDC helped to significantly reduce bycatch in gillnets, by requiring the use of ‘pingers,’ which make noises that alert porpoises to the nets. Whales and dolphins continue to die in fishing gear. They need your help. Save them by getting involved today. Whales and dolphins continue to die in fishing gear. They need your help. Save them by getting involved today. Disentangling live whales and dolphins is extremely dangerous. NEVER attempt to free a whale on your own. If you find an entangled whale or dolphin, you can help by immediately reporting the sighting and your location to a trained and permitted disentanglement team. If possible, stay with the animal until the disentanglement team can arrive. West Coast US 1-877-SOS-WHALe (1-877-767-9425). By adopting a whale, joining our team, making a donation, or shopping for a cause, you can help us prevent deaths in fishing gear.